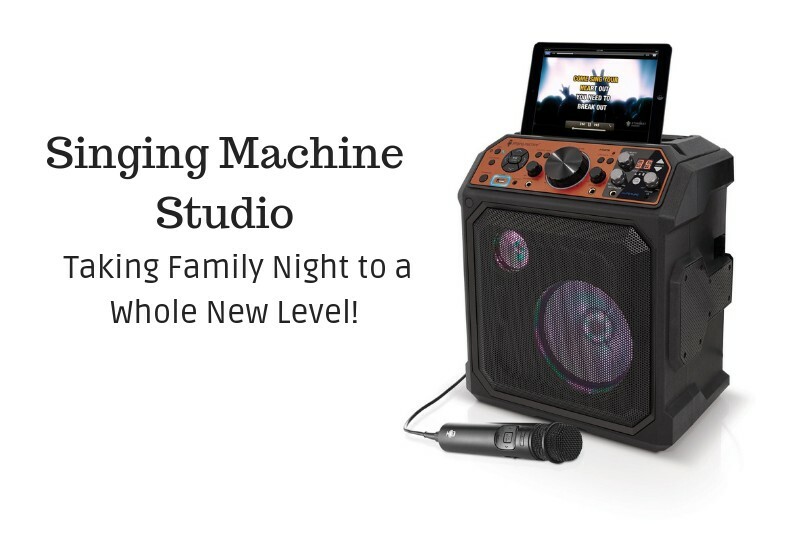 Singing Machine Studio - Taking Family Night to a New Level! I have always loved to sing; ever since I was a little girl it was one of my favorite things to do. On my first trip to Japan I discovered karaoke and I was hooked. Being able to belt out all my favorite songs was so much fun. 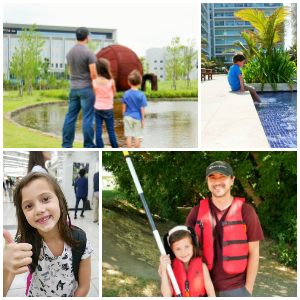 Now that I have kids they love to join in the fun as well. 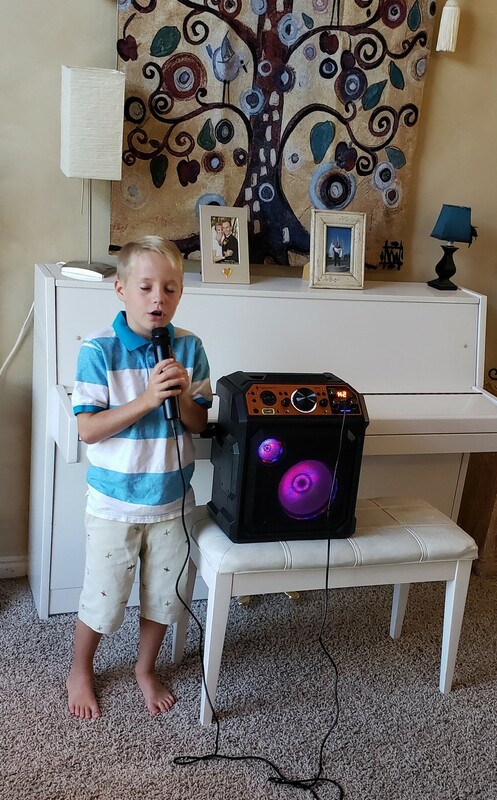 I knew as a family we needed to step up our karaoke game and get a machine we could all really love and have fun with. I recently came across the Singing Machine Studio and it’s so amazing! 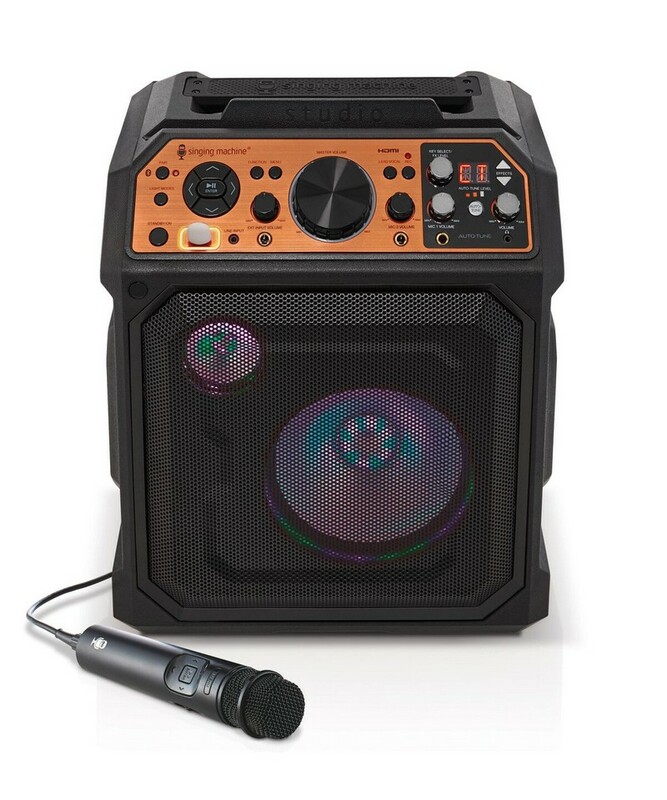 This is an All-In-One Entertaining System with Auto-Tune pitch correction software and Professional Vocal Processing Effects. 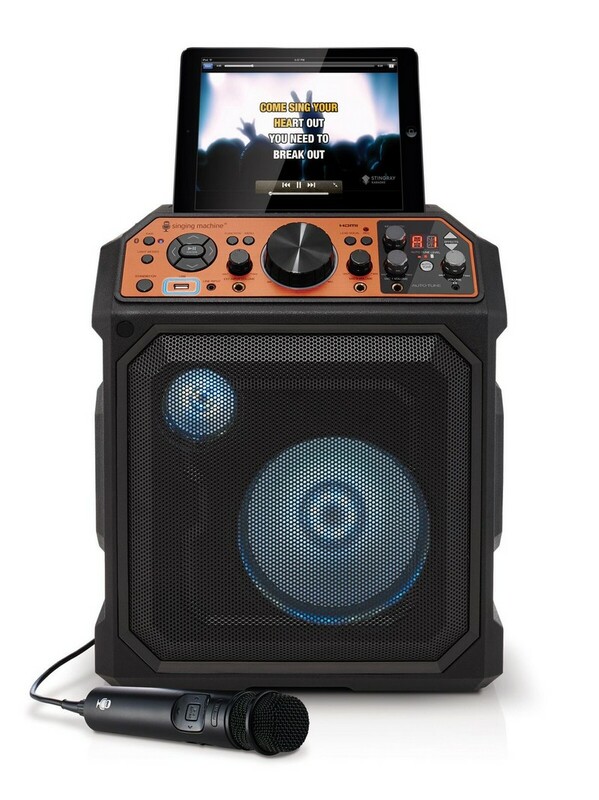 • Stream thousands of karaoke songs on demand with the Singing Machine Free Mobile Karaoke *App for iOS and Android devices! • Bonus 10 free HD karaoke videos! After playing around with this for a bit I can’t wait to get another mic and sing some duets. 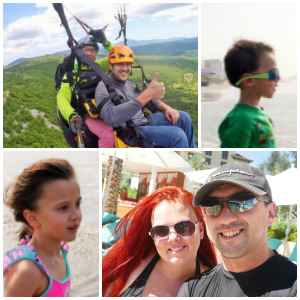 Family nights now have a new meaning as we all have something that we love to do! Our friends love that we can hook it up to the TV and see the videos and the music. You can even feel like a real band and hook up a guitar for the ultimate experience. 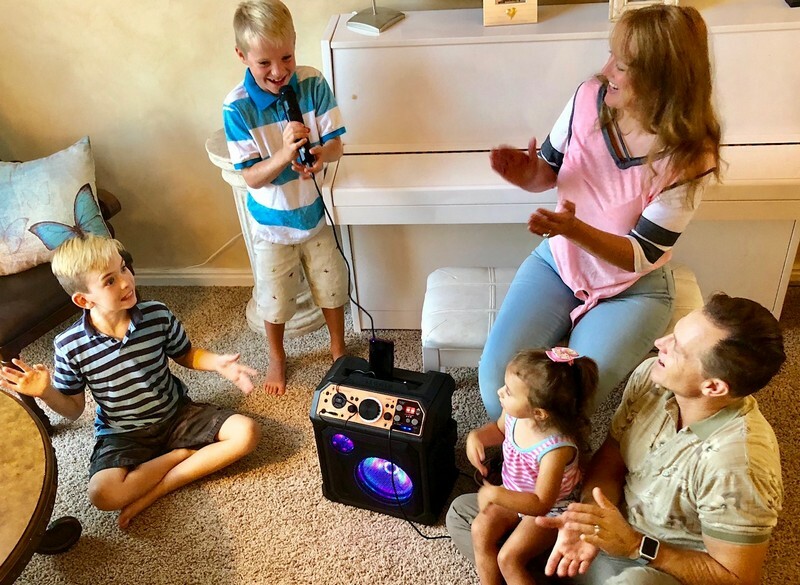 If you have a shy singer in the family they don’t have to worry about how their voice will sound as the effects from the machine can make them sound like a star. The one thing I have always hated with most karaoke machines is being restricted to the music provided. Everyone has their own taste in music and the Studio lets you use your own music through Bluetooth. You can count on amazing sound quality with the Singing Machine Studio and know that you have a top of the line product without the “top of the line” price. I can’t wait to use my Singing Machine Studio for the upcoming holiday parties! I will be singing my way into 2019! Head over here to check out the Singing Machine Studio for yourself. A big thank you to Singing Machine for sponsoring this review, all opinions are my own.